Motorola Olympus and Everest, are they 2 Separate Android Tablets? We’ve been talking all week about the Motorola Tegra 2 phone which we were initially thinking was called the Olympus, but now that the codename Everest has surfaced (via Android and Me), we’re starting to think that there is a chance these could be a pair of Android tablets instead. 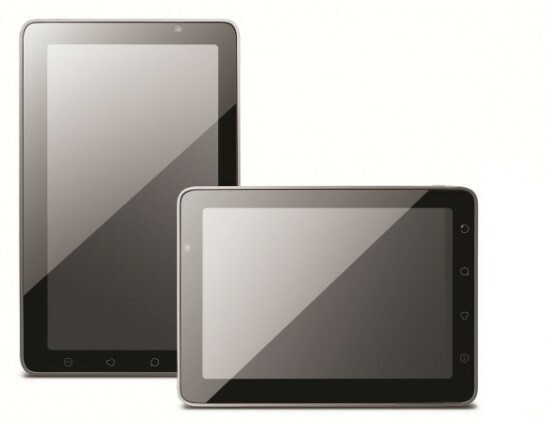 What would you all think about 7-inch and 10-inch tablets launching together running Tegra 2s and Gingerbread/Honeycomb? And in doing this, Motorola would be covering not only the tablet crowd that wants a smaller and more pocketable device like the Galaxy Tab, but would be hitting up the 10-inch iPad audience. We also shouldn’t forget that Motorola seems primed to take down RIM with the launch of the Droid Pro, but adding a 7-inch tablet to the mix would allow them to compete directly with the new Blackberry Playbook. But what about the name Stingray that we’ve seen a couple of times? Your guess is as good as ours, but our thought is that Motorola is changing codenames like crazy to keep these devices hidden. We can’t say enough how locked up this new wave of Moto devices is. And for argument’s sake, the Droid X had a model number of MB810 and the Olympus has been spotted as MB860 which looks like a natural progression for a phone. With all that said, just remember that we’re simply speculating and bouncing ideas off of all of you. Until we see some shots of any of these devices, it’ll all be a bunch of rumors that we thoroughly enjoy talking about. Plus, the names Olympus and Everest just roll off the tongue nicely together, don’t they? Motorola Olympus MB860 Headed to AT&T First?